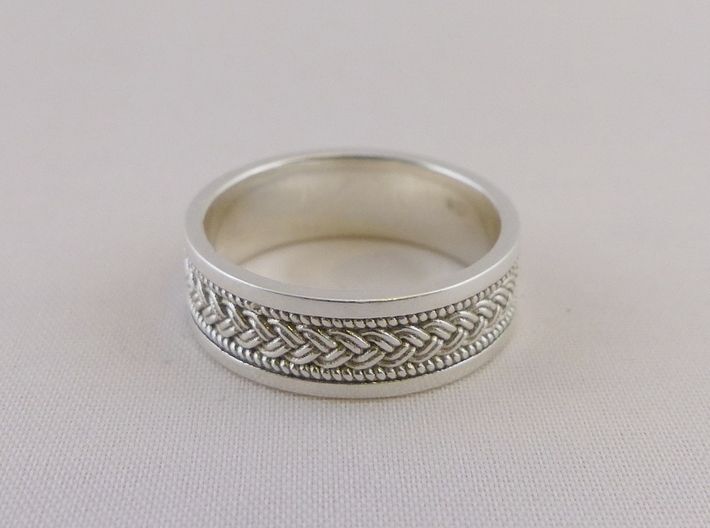 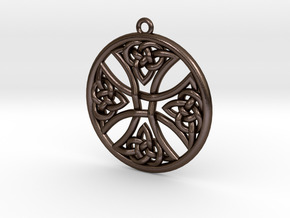 This is a Braided Celtic Knot Ring. 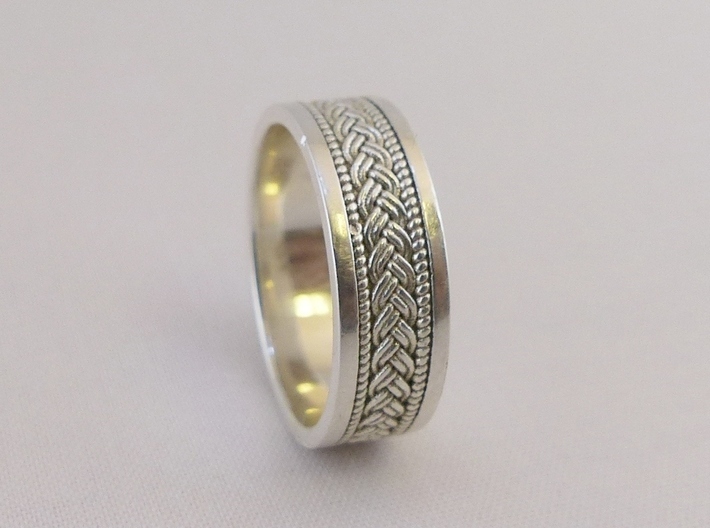 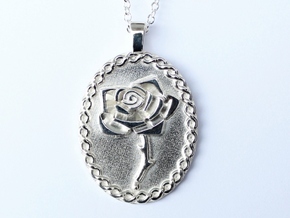 It has two interwoven strands around the outside in a braided pattern. 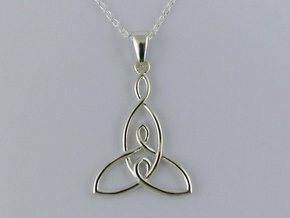 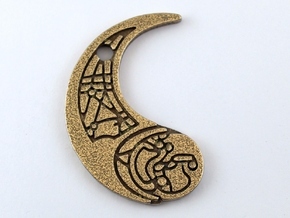 It also has two strands above and below in a spiral pattern. 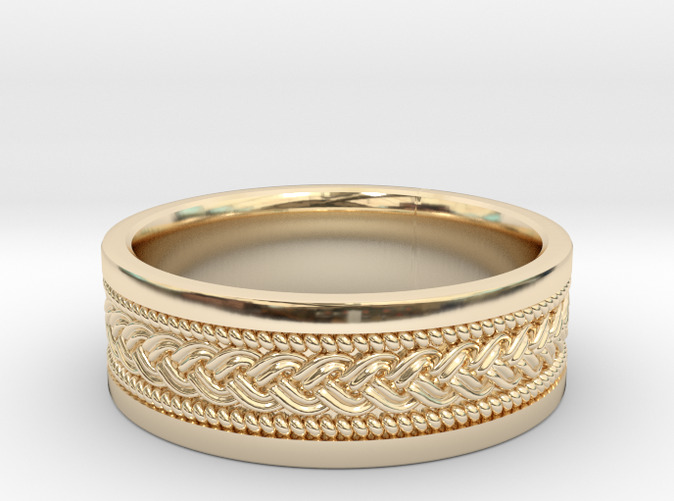 This would make a good wedding band for a man or woman. It is inspired by the ring from the film The Fountain.